HomeCIE Seminar Series 2014 – One Health: a way to manage nasty surprises! CIE Seminar Series 2014 – One Health: a way to manage nasty surprises! ABSTRACT: An examination of the major disease outbreaks over the past few years clearly illustrates that they come as surprises, we have failed to predict them and our response is never adequate. What can we learn from the past, and how can we do things differently to better manage these “surprise events”. The presentation explores the One Health initiative and suggests that by taking a multi sectorial and multidisciplinary approach may well place us in a better position both to predict and to respond to the challenges of new and emerging diseases. The presentation concludes with identifying the role that the Geelong Centre for Emerging Infectious Diseases (GCEID) can play in this risk management approach. BIO: Professor Martyn Jeggo qualified as veterinary surgeon in the UK in 1972 and after a short four-year spell in general practice and overseas in North Yemen, he undertook research at the UK high containment Pirbright Laboratories. In 1986 he joined the Joint FAO/IAEA Division of the UN to establish a veterinary laboratory support program. For 18 years he worked within the framework of UN programs of support for animal health in the developing world with research related projects in some 150 countries. 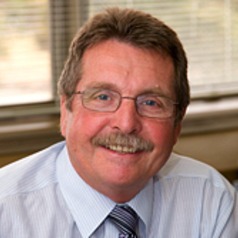 In 2002 he became Director of the Australian Animal Health Laboratory. In 2013 he joined Deakin University Medical School as the Director of the Geelong Centre for Emerging Infectious Diseases. He has championed the concept of One Health for the past six years organizing the first International Conference on One Health in Melbourne in 2011. He will chair the Organizing Committee of the 4th International One Health Congress which will again be held in Melbourne in 2016.